Apple Pay arrived in Britain today. The new service lets people pay for things in store and in apps on the latest Apple devices, including iPhone 6 and Apple Watch. I’ve been talking to analysts and journalists about PayPal UK’s view of the new arrival. Most people assume that Apple Pay is a competitor. The reality is different, as I explained to techradar editor in chief Patrick Goss in a meeting in London today. While people focus on PayPal as Britain’s most trusted and widely used digital wallet, behind the scenes we also help countless businesses accept other ways to pay, including Apple Pay, through Braintree, our mobile payments arm. Patrick’s article explains why Apple Pay is good news for PayPal and the other big names in mobile payments. Some thought we were being cautious – back in 2011, many assumed that mobile would be an overnight revolution. But people and businesses take time to adopt new ways to pay. It took over 30 years for some of Britain’s biggest retailers to let their shoppers pay with credit cards, as I told techradar in 2012. And new ways to pay have to offer more benefits. Mobile is now doing just that. 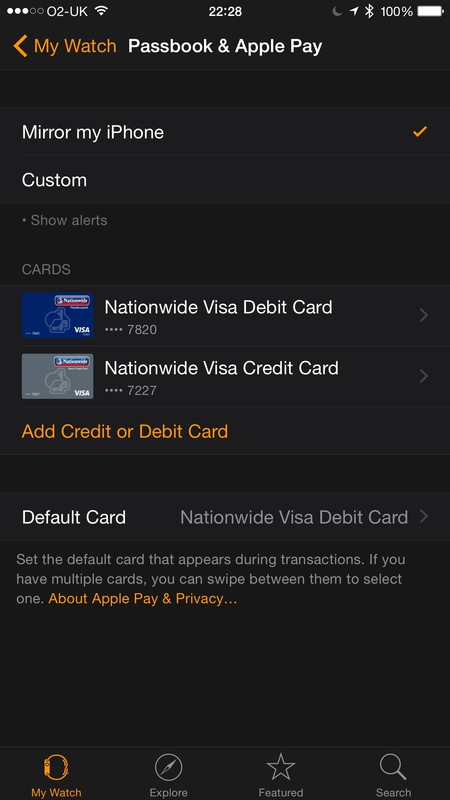 I was keen to test Apple Pay, so I added my Nationwide debit card to Passbook on my iPhone 6 Plus. It was an easy operation. I was less successful with M&S Bank and Tesco Bank – neither yet support Apple Pay. Nationwide was very slow to adapt contactless cards but it has now leapt ahead of rivals HSBC and Barclays with Apple Pay. My first experiences involved a few wrinkles, to echo BBC technology correspondent Rory Cellan-Jones. It took several attempts to get the contactless terminal at The Body Shop, Victoria, London, to accept the payment. I’d put that down to inexperience – my next attempt buying lunch at Pret went like clockwork. 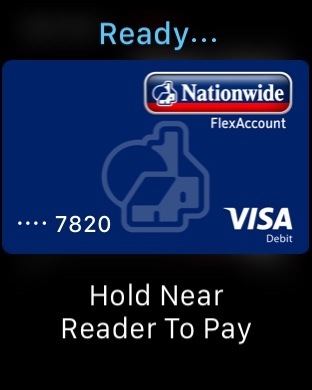 But starting to use Apple Pay on my Apple Watch was less intuitive. The Watch app on my iPhone gave me the option in settings to mirror my iPhone. I assumed that meant I didn’t need to add the card again. Wrong. Once I’d worked this out, I used the Apple Watch to buy a drink at Marylebone station in London. It was actually easier than using the iPhone – much less awkward than I expected. Back in 1998, PayPal’s founders had a simple vision: to let people pay on a mobile device. That vision has stood the test of time. Your old leather wallet may be heading for retirement. Disclosure: I am Director of PR for PayPal UK. I have quite a few Apple devices. This entry was posted in Business, Tech and tagged Apple Pay, Nationwide, Patrick Goss, PayPal, TechRadar by Rob Skinner. Bookmark the permalink.